Dental bridges are prosthetic devices used by dentists to solve one (or more) missing teeth problem. It would be a shame to spend your life not smiling because you simply don’t want people to see your missing tooth. It would also be a shame to adjust to a lower quality of life level – as one or more missing teeth negatively impact speaking and eating functions, not to mention they can alter your face’s structure and shape. The best answers to such problems are our dental bridges Lauderdale by the Sea FL treatments. Let’s see some important details you should know about them! If you are on your first visit with us, your designated doctor will first conduct a thorough analysis of your dental health; you may want a solution for your missing tooth, but your doctor can discover a gum disease that needs treatment beforehand. So first and foremost, your doctor will offer you all the dental treatments you need to ensure an impeccable and strong dental health. You should know we offer all dental services under one roof, so you won’t waste time and money getting several services in several offices. Once you and your doctor decided that a dental bridge is the best course of treatment, your specialist will prepare your abutment teeth (the teeth flanking the actual pontic tooth that will fill in the gap). 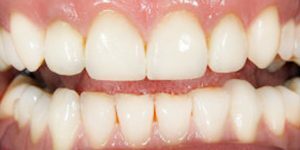 This process involves the abutment teeth’s’ recontouring to make room for the crowns to be placed over the abutments. The process is non-invasive. We work fast and we use the latest equipment, materials, and procedures to make your entire experience fast and comfortable. Your doctor will take impressions of your teeth to order the bridge to a specialized lab. We work only with certified and licensed laboratories which will manufacture flawless dental bridges. Your doctor will most likely place a temporary bridge to protect your abutments and gums. The second visit is dedicated to the fitting and placement of your permanent bridge. Your doctor will check your bite and the level of comfort you feel with your new teeth and adjust the bridge accordingly. Besides working fast and efficiently, we also rely on a team of specialists who have nearly 60 years of combined medical practice. We work only with the best, safest, and modern equipment, materials, and techniques. We also make sure all your dental treatments are affordable.